Is it Legal to Sue if You are Injured at a Sports Arena? Everyone enjoys a good sporting event. You pre-game, get dressed up in your sport team’s jersey, and head out to the big game. You are excited, pumped up, and ready for a good time. What if you are injured by a stray pop-up fly ball hit into the stands during the game? What if somehow a stray puck is shot off the ice and hits you sitting in the audience? Are you able to sue if you are injured? It is common for spectators to sustain injuries during sporting events, both professional and amateur. We all know that participating in a sport carries at least some risk of injury, but does being a spectator also carry the same assumption of the risk of suffering a personal injury? The difference between playing in the game and watching from the bleachers is readily apparent, so could someone be held liable if a fan is hit by a fly ball? The legal concept of assumption of the risk comes up frequently in personal injury cases. Assumption of the risk means that you knew that there was the potential for you to get injured while participating in whatever activity you were involved in at the time you were injured. For instance, many professional athletes assume the risk of being injured during gameplay. Many spectators also assume the risk of being injured in the stands because it is well known that an errant ball or puck could end up in the audience at any time during the game. The type of sporting event. Whether the situation called for you assuming the risk of injury for being a spectator of the sport. Whether someone acted recklessly during gameplay. If you signed a liability waiver for the sporting event. Whether you assumed the risk for your injuries is largely what these types of personal injury cases come down to. Sports like hockey, baseball, and golf often involve the ball or puck accidentally being hit into the crowd. Furthermore, spectators should be watching the game and paying attention and should be prepared for an errant ball or puck that is coming their way. In most cases, if you have been hit by a stray ball or puck, you will not be able to recover because your assumption of risk relieves the sports team/owner of their duty of care related to balls and pucks. However, there was a case in the midwest where someone was hit by a flying hot dog, and the court in that case ruled that, despite the spectator having been to multiple home games where hot dogs were shot into the crowd, getting hit by a flying frank is not the kind of risk one assumes when attending a ball game. On the matter of liability waivers, if you signed a liability waiver before heading into the stands, it might be difficult for you to sue to recover damages for your injuries. That is not to say that if you signed a waiver, it would be impossible to sue for the injuries that you suffered. There could be circumstances that would make the waiver unenforceable. For example, the waiver could be confusing and unclear, or you may not have been legally old enough to be bound by the waiver. If you have been injured as a spectator at a sporting event, it could be challenging to sue for recovery for your injuries. You should speak to an experienced Nevada personal injury lawyer about your particular circumstances. 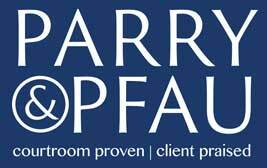 The professionals at Parry & Pfau are happy to schedule a free consultation with you. Older PostIs it Legal to Wear a Mackintosh in Nevada?